Manufacturer & Exporter of HDPE Tarpaulin Sheet & HDPE Tarpaulin. Our product range also comprises of LDPE Tarpaulins, LDPE Sheet. We make superior grade HDPE tarpaulin sheets which are used for packaging in various industries. Our HDPE tarpaulin sheets come in double, triple, five layers waterproof from both sides and is an excellent medium for packaging. Our HDPE tarpaulin sheets are available in both virgin as well as s.virgin variety. 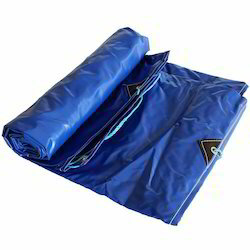 Our HDPE tarpaulin is used to prevent the material from getting damaged from water, humidity, etc. We are manufacturing a wide range of Heavy Duty Tarpaulins that is manufactured in accordance with international industry standards. Looking for “HDPE Tarpaulin Sheet”?